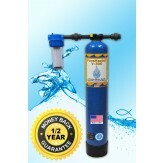 Get the best "Point of Use" water filters for one low price. 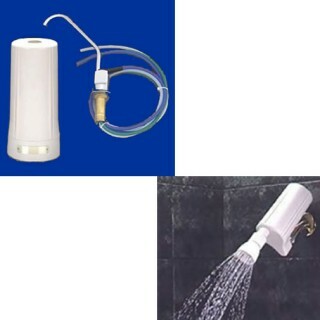 The high-quality V-20 Shower Water Filter System, offered by Vitasalus/Equinox Products, effectively improves municipally treated water by significantly reducing chlorine, chloroform and harmful VOCs, while enhancing pH for a cleaner, more healthier and enjoyable shower. In addition also receive the V-5 under counter top water filtration system which is designed to address sediment and/or particulate matter, VOCs, chlorine, chloroform, benzene, pesticides, lead, iron, tastes, odors and hundreds of other potential contaminants and harmful chemicals that may be found in our drinking water. The V-5 Undercounter comes with the vented nozzle and hose for easy storage under a sink or in a cabinet. Order your V-5 and V-20 (Undercounter and Shower Filters) Online Securely below.